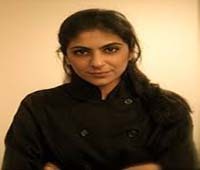 NEW YORK, Jan 26 (APP):Pakistani-American chef Fatima Ali, who starred in America’s “Top Chef” competition, died of cancer in New York City Friday after battling the disease for more than one year. She was 29. Karachi-born Fatima moved to New York at age 18 to pursue a career in the restaurant industry. A highly skilled chef, she worked in some of New York’s top restaurants for a number of years. She also had a vendor in Smorgasburg, an open-air food market in Brooklyn, a borough of New York City. It was called ‘VanPakistan’, which sold food based on the Pakistani cuisine.Popularly known as chef Fati, she had expressed her desire to return home at some point to encourage Pakistani women to take up the profession. She had competed on Season 15 of Top Chef in Denver and ultimately received the “fan favourite” designation. Fatima Ali was diagnosed with Ewing’s Sarcoma, a rare form of bone cancer, at the end of 2017. The chef underwent chemotherapy and surgery in January 2018 to remove a tumor from her shoulder bone, with “Top Chef” host Padma Lakshmi, an Indian-American celebrity, by her side. By summer, she told People magazine she was “technically cancer-free.” But in October, Fatima Ali revealed in an emotional essay that her cancer has returned “with a vengeance.” Doctors told her diagnosis was untreatable and terminal and that she only had a year to live.